Prototype of the new Juno rover, a 300 kg rover for a mission to Mars or the Moon. Could the Next Planetary Rover Come from Canada? 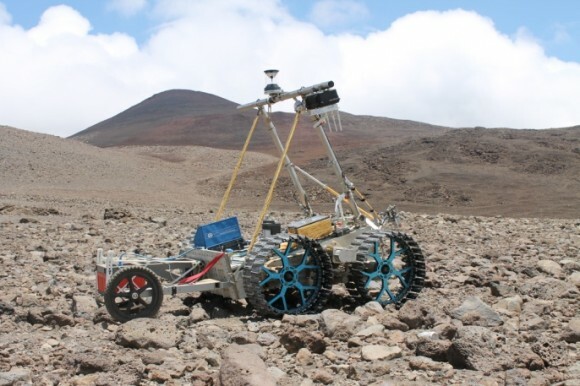 The Canadian Space Agency is well known for its robotics but they’ve recently expanded from robotic arms to building prototypes for five new rovers, designed for future lunar and Mars missions. They range from microrovers to full-sized science missions and range in size from 30 kg up to 900 kg. The largest of them, the Lunar Exploration Light Rover, is designed to carry a scientific payload and can be fitted with a robotic arm. It has a range of 15 km, can be operated remotely, or can be used to carry astronauts across a planetary surface. Read more: Could the Next Planetary Rover Come from Canada? — Universe Today.